Win a double pass to Breath advance screening in Melbourne tonight! | Daily Review: Film, stage and music reviews, interviews and more. Win a double pass to Breath advance screening in Melbourne tonight! Breath is based on Tim Winton’s award-winning novel of the same name and is actor Simon Baker’s feature film directorial debut. It follows two teenage boys, Pikelet (Samson Coulter) and Loonie (Ben Spence), growing up in a remote corner of the Western Australian coast. Hungry for discovery, the pair form an unlikely friendship with Sando (Simon Baker), a mysterious older surfer and adventurer, who pushes the boys to take risks that will have a lasting and profound impact on their lives. Daily Review has TEN double passes to give away to the film, in Melbourne’s Jam Factory cinemas in Prahran TONIGHT commencing at 6.30pm. For your chance to win, enter your details here and make sure you’ve liked us on Facebook to boost your chances of winning. 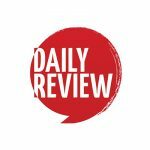 This competition is promoted by dailyreview.com.au and will be drawn TODAY by 2pm. The competition is open to residents of Australia and New Zealand unless stated otherwise. Information on the method(s) by which the competition can be entered are found here. Daily Review does not endorse, take responsibility for or provide a warranty of any kind for the prize(s) offered in this promotion, nor do we provide any transportation or accommodation that may be necessary. By entering this competition, you allow Daily Review to share your contact information with the company/companies providing the prize(s) to enable delivery of the prize(s). Next Post Artist Henry Rollins sells himself for Mercedes. Is it worth it?